The most common analogy used to compare the science of DNA to other industries is that of computer software. DNA can be viewed as a series of commands (genes) that are coded in four nucleotides (represented by A, G, C, and T). Those letters are interpreted by the cellular machinery to produce cell products like enzymes, proteins, and various building blocks of the cell itself. This code somewhat parallels the “machine language” of computers. Computer’s lists of commands (coded in zeros and ones) are interpreted to work with numbers or any type of information that is converted to numbers (like audio, video, or sensor data). Resulting numbers generate numerical output for machinery such as screen displays, motors, tools, robots, digital controls, etc. Recently, the study of DNA is becoming even more like software as it approaches a technology boom similar to that of its computer “cousin”. This year the FDA has approved the first few technologies to write, edit and “update” human DNA. These first human “software updates” included a cure for blindness and treatments for cancer. Those achievements mark the first step toward “software-like” business growth in the biotech sector. The next big leap will happen when a company makes a versatile platform for genetic applications to run on. That company could become the “Microsoft” (or perhaps the “Apple Computer”) of biotech. The medical industry is experiencing a shift from small molecule drugs toward gene technologies. Examples of small molecule drugs are statins and aspirins. These drugs distribute throughout the body (usually through the bloodstream) to affect a biological pathway. Small molecules have had a long history of success--preventing suffering from disease symptoms, occasionally curing diseases, and saving many lives. But in comparison to the potential of genetic medicine, small molecule drugs are short-lived in the body and nonspecific. They are short-lived because they are obligately flushed from the body. Gene therapy has the potential to integrate into the genome and act on underlying drivers of diseases permanently. Small molecules are non-specific because they distribute throughout the body contacting almost all cells in the body and affecting them regardless of whether those cells “need” treatment in a particular disease. Genetic medicine has much to offer to improve on that as well, and techniques and technologies in gene and cell therapies can be directed towards narrow sets of cells. This improved targeting reduces the drugs’ effects on healthy tissue that does not require treatment. This specificity can substantially reduce side effects. The classic example of “non-specific treatment” is cancer chemotherapy. Drugs designed to “poison” cancer cells travel throughout the body delivering the same poison to every cell. Healthy cells may tend to absorb less of the poison, or be affected less, but it is common knowledge that the side effects to healthy cells are extensive, resulting in a wide range of unintended consequences, such as fatigue, nausea, and hair loss. By contrast, gene therapeutics can be specifically “targeted” to narrow their effect to a particular set of cells based on cell type (tissue type, like liver, or kidney), or even by disease “markers” within a cell that indicate that a cell is in a disease state (for instance the presence of a high level of prostate-specific antigens, an indication of prostate cells in a malignant state). Imagine if you could give a person a chemotherapeutic that was so toxic, no cancer cell in their body could survive the treatment, but that you could also prevent that poison from going into healthy (non-malignant) cells. Imagine you could design a drug that was “smart” that would only turn on in a cell when needed... That would allow better cancer drugs that were highly effective on cancer, but minimized side effects to the patient. This specific targeting would “spare” healthy cells from a toxic “treatment”.That is the idea behind gene and cell therapeutics. Gene therapy targeting technologies are allowing drug developers to “focus” treatments on diseased cells and avoid healthy cells to reduce negative side effects. There are many options in gene and cell therapy to “target” treatments, and targeting technology is continuing to improve through extensive research and development ongoing at universities and institutes globally. The power to change DNA, the advanced targeting capabilities, and specificity of gene therapy allows us to take another major step forward in medicine, to correct the underlying cause of disease. With the tools available today, researchers can alter the genes of a cell. These tools and technologies allow researchers to create tiny (the size of a virus) DNA-modifying “smart” pills (that are actually re-purposed components of modified viruses) that carry cellular “instructions” to perform a task. The smart pills are engineered to find specific cells, tissues, or organs. They enter cells to repair a damaged gene, alter the expression of a gene, or repurpose those cells as drug delivery platforms. It is now common knowledge that most diseases have underlying genetic components. With the gene-altering technology available today all of those diseases have a potential path to a cure. Today there are only a few gene therapies with FDA approval. But a time is near that every broken gene, in every person, will be accessible to treatment, and a myriad of formerly unaddressable diseases will become treatable or even cured. Gene and cell therapy tools have capabilities extending beyond diseases thought of as “inherited.” Bacteria and viruses have DNA, so can be affected by gene therapy both directly and indirectly. What if geneticists identified 1% of the population was naturally able to control the HIV virus? It is easy to see the genetic difference that renders 1% of the population immune is an insight which might be used to cure those affected by HIV. It happens, that geneticists did, in fact, find this population which possesses HIV immunity. American Gene Technologies (AGT) is working on this right now. It has a technology to effectively transfer natural immunity to white blood cells of patients already exposed to, and infected by HIV. This technology should provide HIV patients with a functional cure. That is exciting, but even more exciting is the fact that the same platform AGT is using to cure HIV is used in a cure for Hepatocellular Carcinoma (liver cancer). In essence, AGT has developed a platform to deliver or control the expression of genetic issues across diseases. This application of platform technology is the new paradigm for drug development, and the company which gets it right could dwarf evenMicrosoft’s (or Apple’s) financial success. As an example, the United States Federal Government spends$20.7 billion on domestic care and treatment of HIV through Medicaid, Medicare, and The Ryan White HIV/AIDS Program. While a cure would take time to be adopted, it is easy to see how a company with multiple curative products could create revenues in excess of Microsoft. With a pool of +7000 monogenic diseases available to treat, more than one gene therapy company will create the cures for a portfolio of diseases that together represent substantial revenues to the company while reducing overall healthcare costs. It may seem like science fiction today, but two years ago curing cancer with modified immune cells (CAR-T) still seemed distant. We have arrived in the future of genetic medicine first imagined 46 years ago by Theodore Friedmann and Richard Roblin. Why Will a Platform Technology Win the Day? In the past, doctors and researchers had to reinvent the wheel for every disease. They would perform testing on the effects of thousands of small molecules hoping to see a positive result. Now scientists can apply the genetic research they’ve already collected on the underlying causes of disease to “design” a repair or replacement modification that mitigates the symptoms or cures the disease. This is the era in which we will build solutions across diseases utilizing gene therapy. This library of underlying causes of disease has sat shelved without solutions for years; waiting for a genetic delivery platform to apply the knowledge we’ve already collected. One of the diseases in AGT’s pipeline is Phenylketonuria (PKU). Scientists have known the genetic cause of this disease for more than 40 years, but have not possessed the mechanisms to correct it until very recently. AGT is actioning this backlog of information to develop robust cures for PKU and diseases like it on a reusable platform. There are thousands of diseases just like PKU that can be solved by controlling, replacing or, in some cases, repairing defective genes. 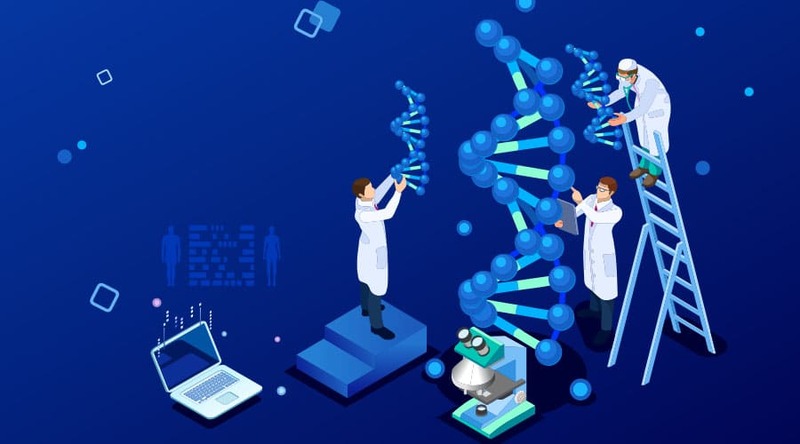 As mechanisms for gene delivery become better understood, a company like AGT who has spent its time developing the genetic delivery platform first and the cures second will emerge as a winner. AGT is well poised to become a leading gene delivery platform company. AGT might just be one human trial away from pushing the medical industry into the next great horizon of platform-based genetic medicine.